Sleep apnea is a commonly occurring sleep disorder found in humans where a person pauses to breathe or breathes very shallow for short intervals during his sleep. This could be intermittent. The interval of shallow breath or a pause could range between a few seconds to a minute. The normal breath may resume with loud grunting or choking sound. Such disruption in sleep will affect your diurnal life. You will feel either too sleepy or irritated to fall in the routine schedule. Sleep apneas are of two kinds – obstructive sleep apnea and central sleep apnea. In the former a blockage in the airway results in obstruction in breath during sleep. In the latter and rarer case, the brain is unable to send the correct signal to the breathing muscles. There are certain myths associated with sleep apnea, let us take look at them. Here are some of the common misconceptions of sleep apnea. All people who snore during the night are not necessarily suffering of sleep apnea. 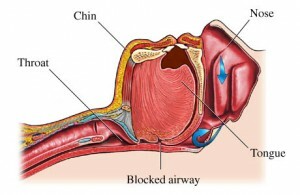 Affected people will also be choking and gasping for breath besides snoring. Snoring is just one of the symptoms of the disease. Sleep apnea can happen to people of all ages and body mass. However, overweight people run a higher risk of contracting it as fat may have accumulated in their throat muscles which block the airway. But this will not merely be the reason of this sleep disorder. According to the studies almost 6 million American women suffer of sleep apnea. So it is wrong to think that men are only affected by it. The sleep disorder can also be contacted by pregnant women, which is called gestational obstructive sleep apnea. Most people who suffer of sleep apnea mistake it for tiredness. If feeling tired and sleepy has become part of you day-to-day life, consult a doctor immediately. Sleep apnea if left unchecked can lead to other complications like stroke, depression, sexual dysfunction, obesity and diabetes. Sleep apnea is also confused with depression. The symptoms of the both ailment are almost same laziness, weight gain, short attention span, mood swings, etc. Be cent percent sure whether you are ailing of depression or sleep apnea through a clinical check-up. Sleep apnea does affect a person’s capacity to drive. A tired driver runs the same risks for an accident as a drunk driver. Driving is quite dangerous for person afflicted by sleep apnea. The most common treatment of this sleep disorder is the continuous positive airway pressure (CPAP). 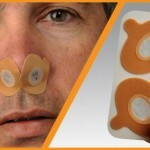 The sufferer is made to wear a mask that is connected to a machine that provides air in the nasal tract. Most people are unwilling to wear them, thinking that they might lead to discomfort. But these masks come in variety of shapes and sizes. You can wear one that suits you the best. I hope this article on myths of sleep apnea was helpful to you and wish you all the best to get a suitable treatment that will combat the aliment.